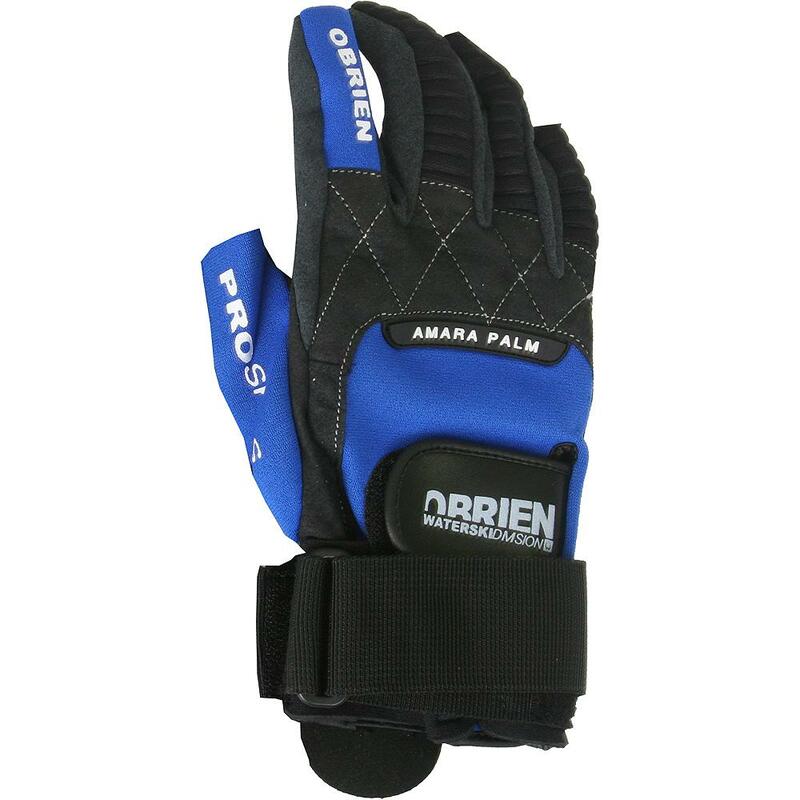 The O’Brien Pro Skin 3/4 Waterski Gloves cure finger claustrophobia. Well sort of. These high performance ski gloves have a 3/4 finger cut to give you better control and keep you comfortable. They are not only designed to fit but are built to last with Amara Panels placed on the palm to cut down on wear and tear. "What exactly does 3/4 mean? Is the thumb exposed? Please explain. I plan on using these for kiteboarding in the ocean. My fingers were freezing last I went in Febuary, so I'm trying to find a suitable glove to keep my fingers warm during these conditions." "3/4 means that only 3/4 of your fingers are covered. So yes, the thumb, and top of the fingers will be exposed." Great service and hassle free ordering! Very happy with the ordering process and overall customer service. Will be back! Exactly as described and exactly what I was looking for. Still holding up well! Owned O'brien stuff over the years. Always decent quality (have an O'brien slolam for 20+ years...still great). These gloves, however, are not. On 1st use thumb stitching started coming loose. By 3rd use, the other side of stitching started coming out and the whole thumb is quickly becoming useless. Love the gloves. Fits as advertised. Provides a good grip. Let another ski club member use them and he liked them a lot. He Thought they helped. Easy to put on. However, requires a little effort to remove. Excellent communication with seller, and fast on delivery.